UI Athletics will be honoring our Military in recognition of Veteran’s Day at Saturday’s football game and would love to include some Fighting Illini “shout outs” and pictures of our Illinois “family” serving in the military here and overseas. If you could, please send out to anyone you know in the military and have them send us a video or picture that we can include. 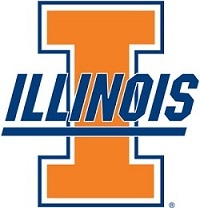 They can simply video tape their “shout out” using the script below, load to You Tube and complete the form at http://www.fightingillini.com/shoutout. In addition, they can send us a picture of their “Illinois” loved one or friend who is currently overseas, and we will recognize some of them during the game. Simply send the picture with the name of the person and hometown via email to DIAMarketing@illinois.edu. Both video and picture submissions are due this Wednesday, Nov. 7 at 5 pm CST. Hi, my name is [name] from [city, IL] and I’m stationed in [place]. I’d like to say [hi to my mom and dad, etc.- Be Brief] and [GO ILLINI, Oskee wow wow, etc. ].